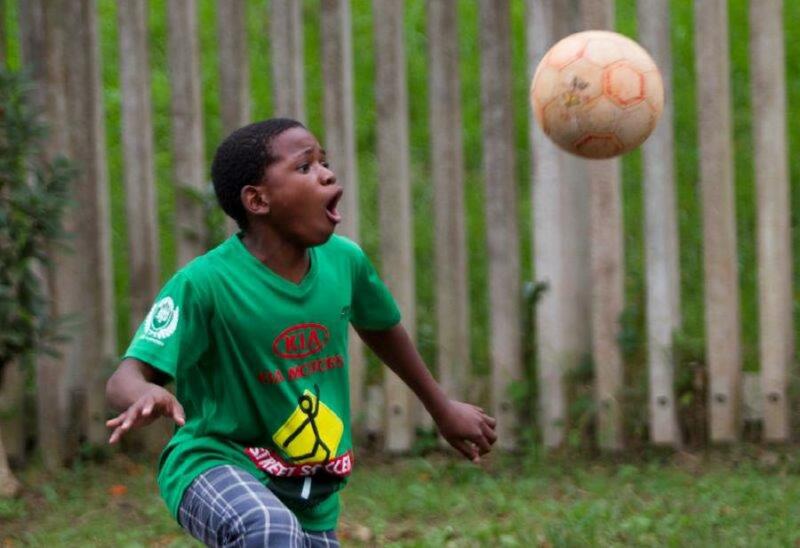 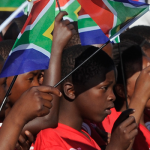 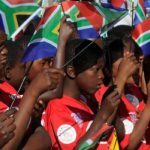 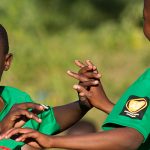 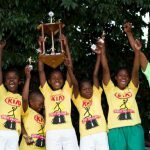 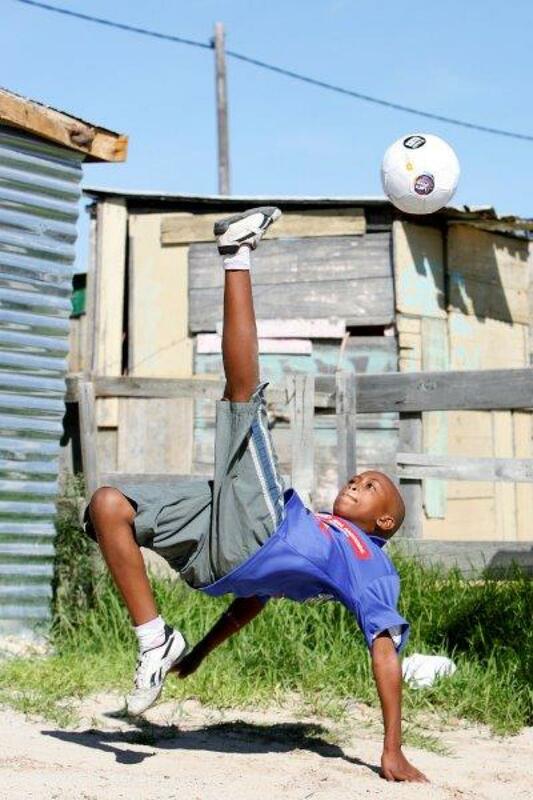 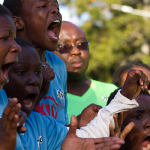 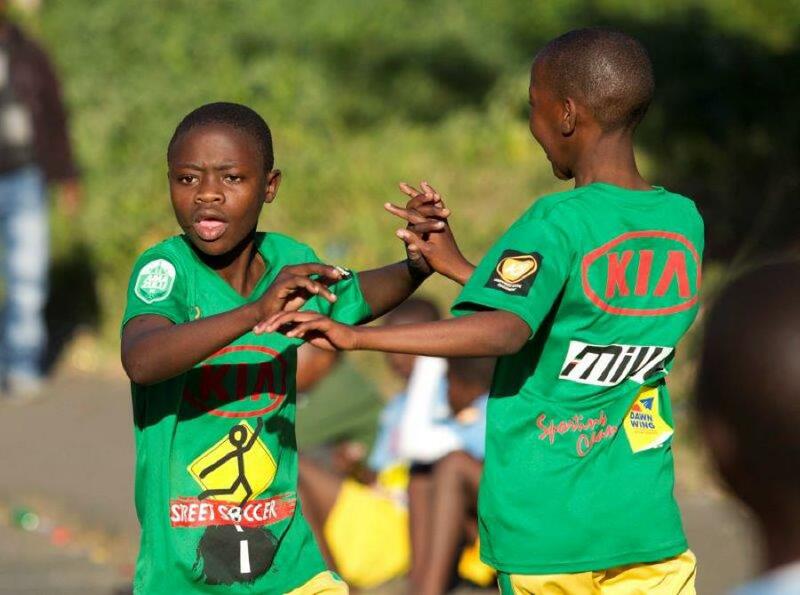 Soccer is the most widely played sport in South Africa, with its traditional support base in the communities. 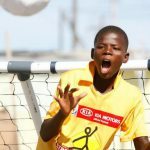 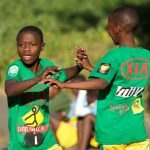 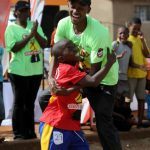 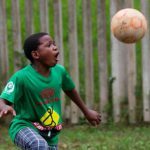 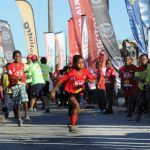 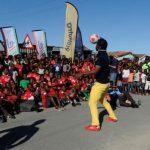 The Street Soccer programme takes the ‘beautiful game’ into the heart of these communities and adds a new dimension to structured youth soccer. 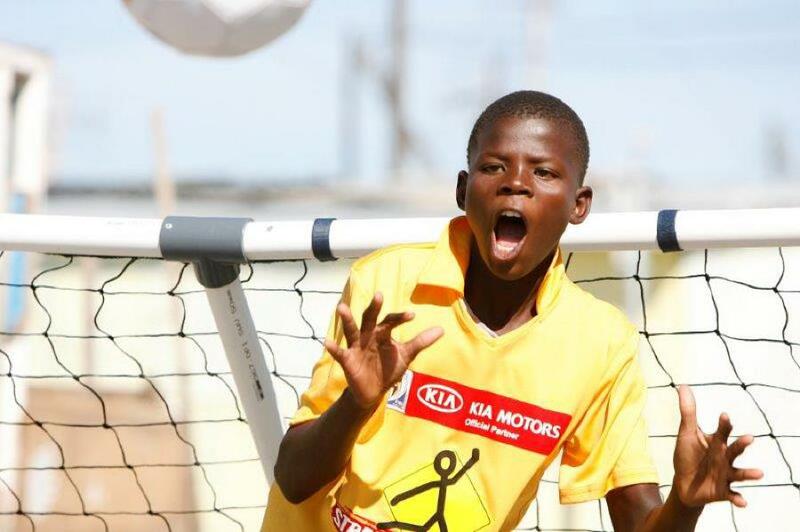 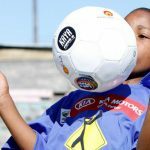 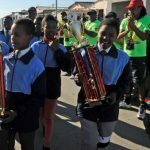 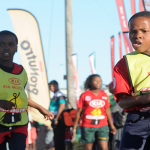 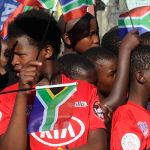 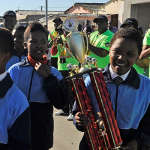 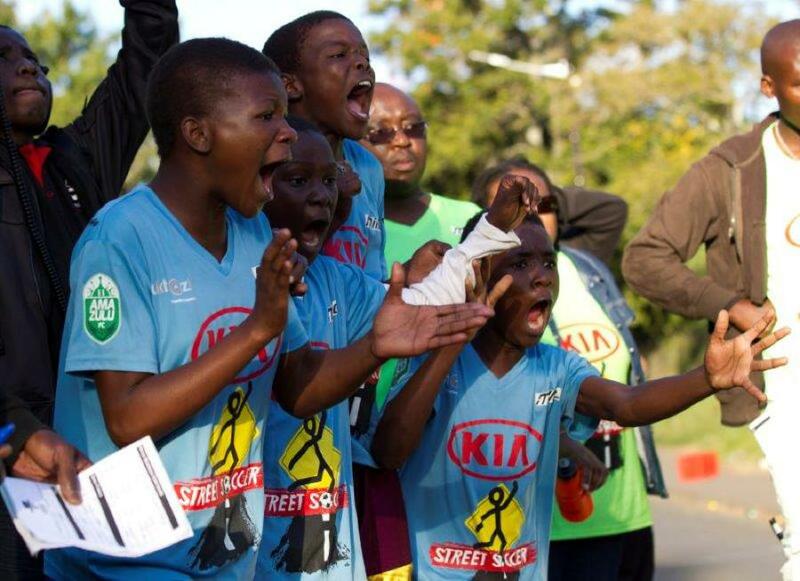 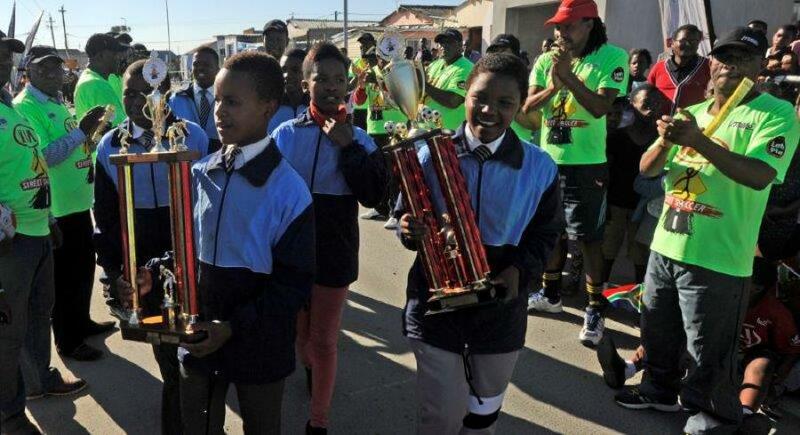 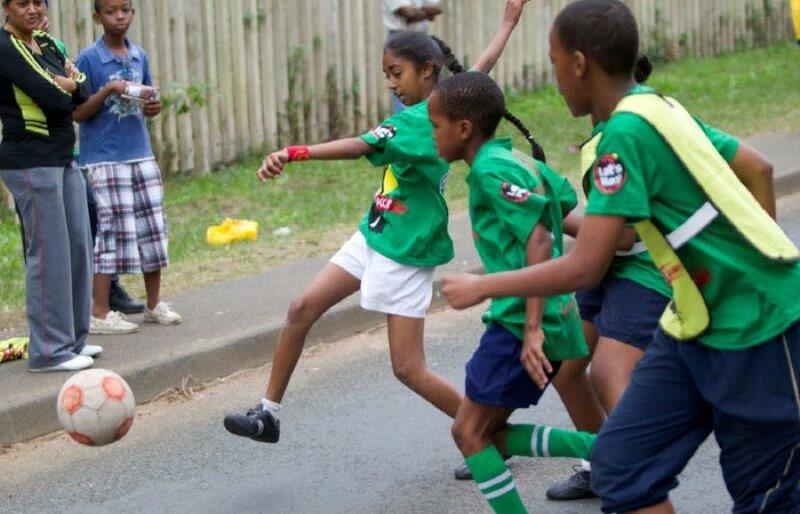 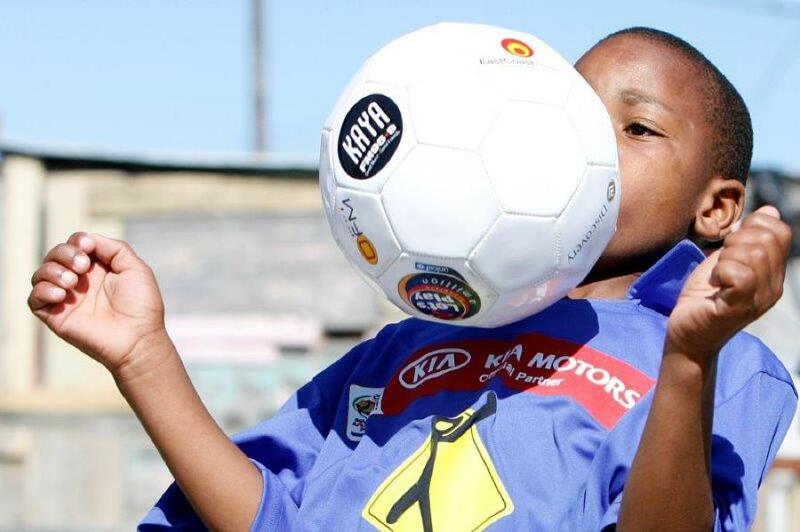 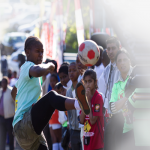 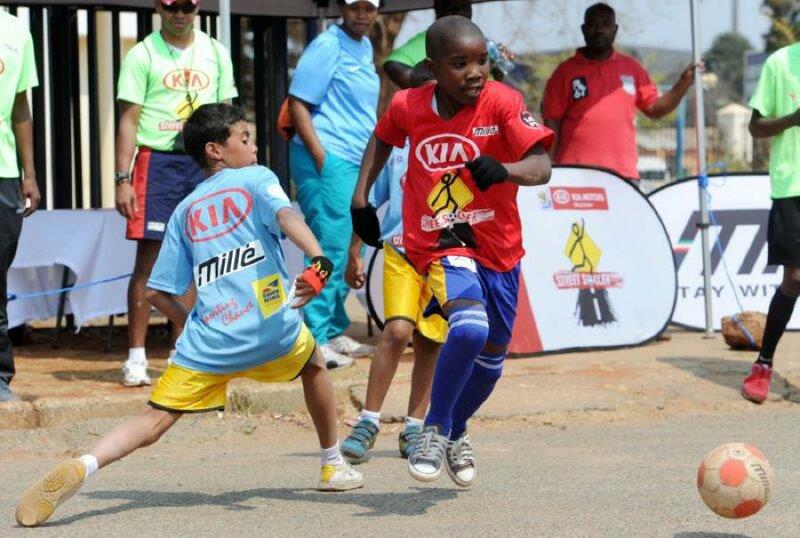 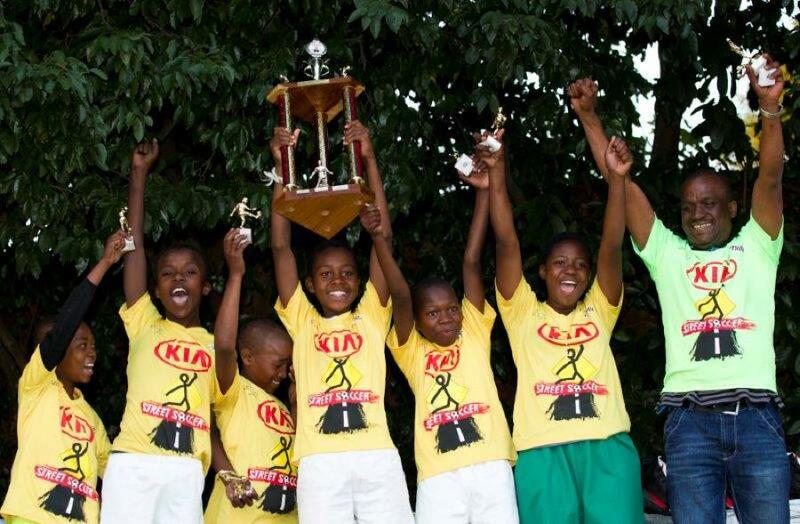 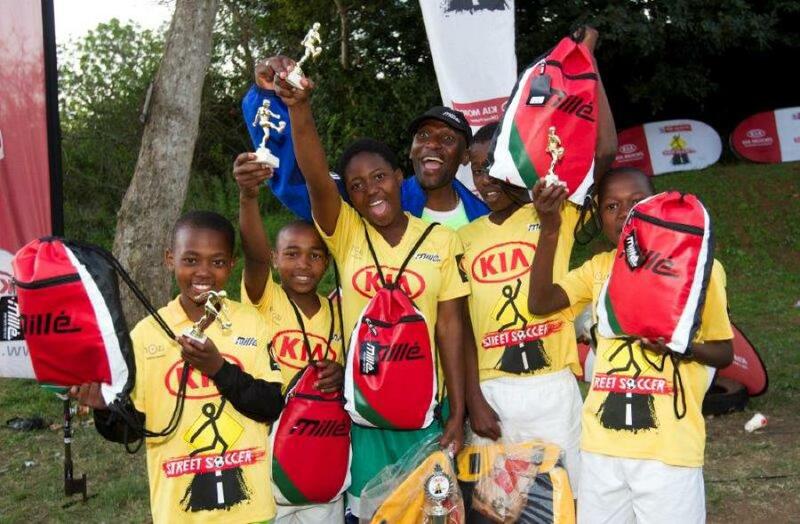 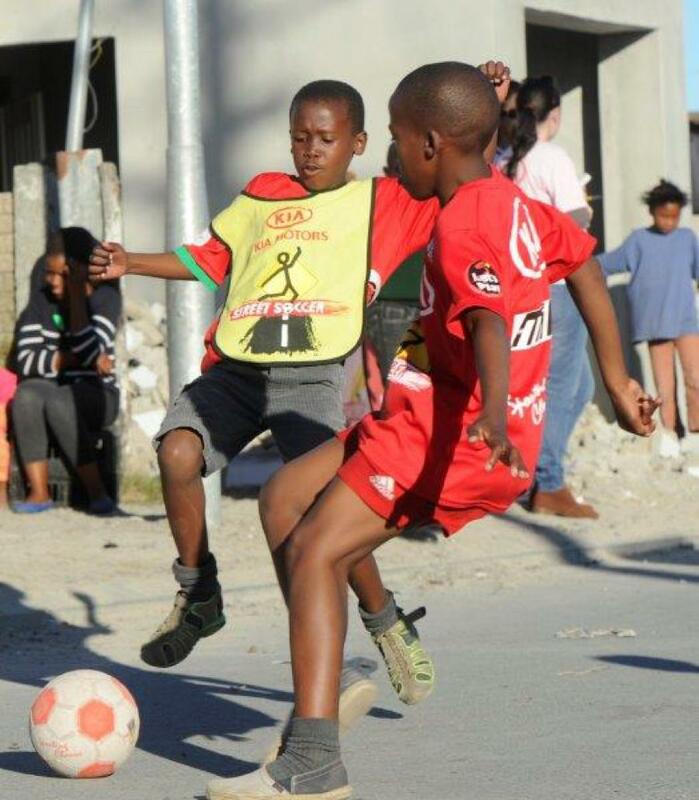 The Street Soccer programme aligns with SAFA objectives and provides solutions in the South African environment to combat crime, promote cultural diversity and prioritise child health. 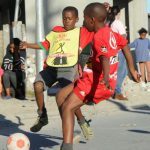 This adapted 5-a-side version of the game is played on the streets, providing the platform to engage all members of the community with no financial implications. 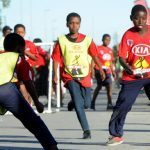 The programme broadens the base of soccer especially at grassroots through mass participation while providing a talent identification opportunity. 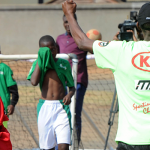 Paramount to the programme is the transfers of soccer and life skills to a database of players, coaches, referees and coordinators. 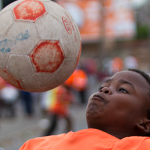 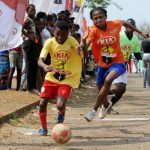 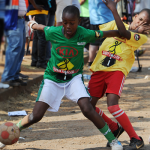 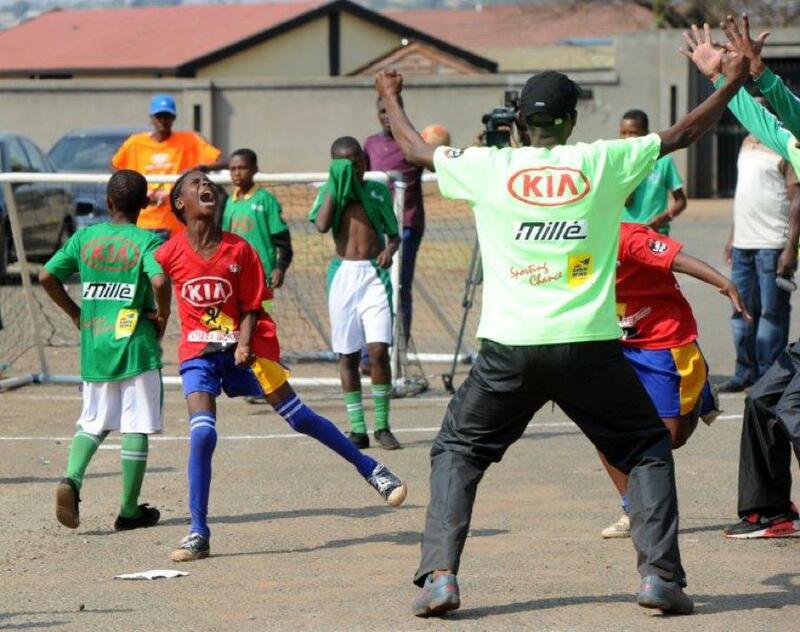 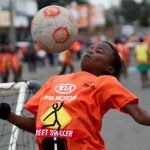 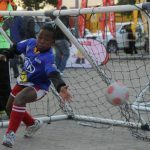 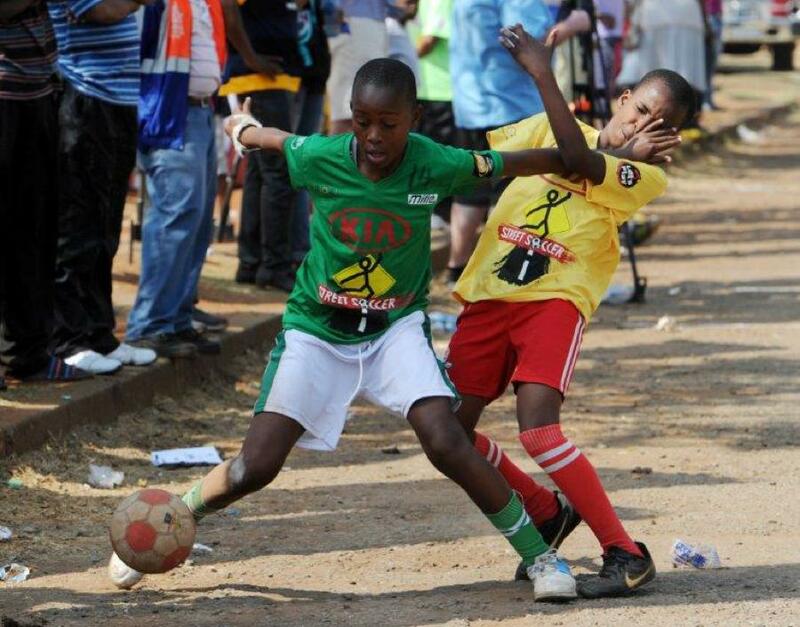 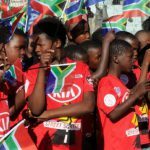 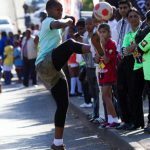 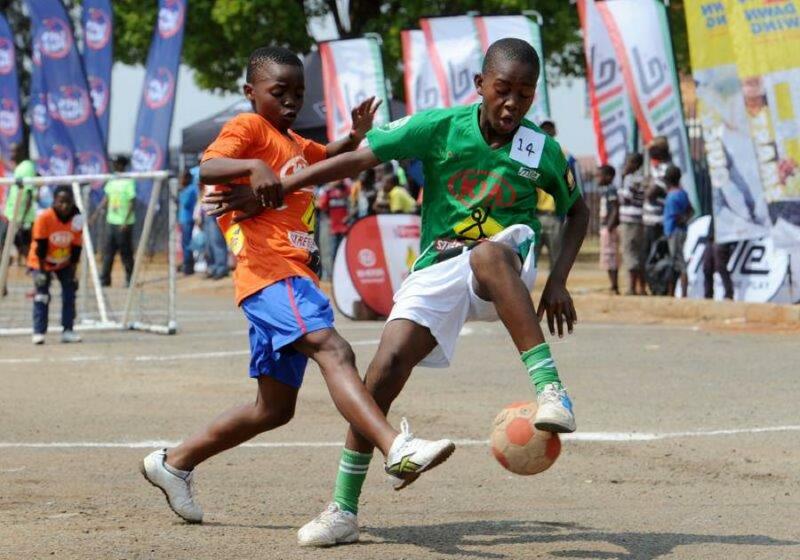 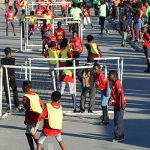 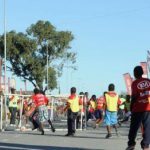 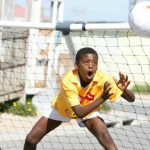 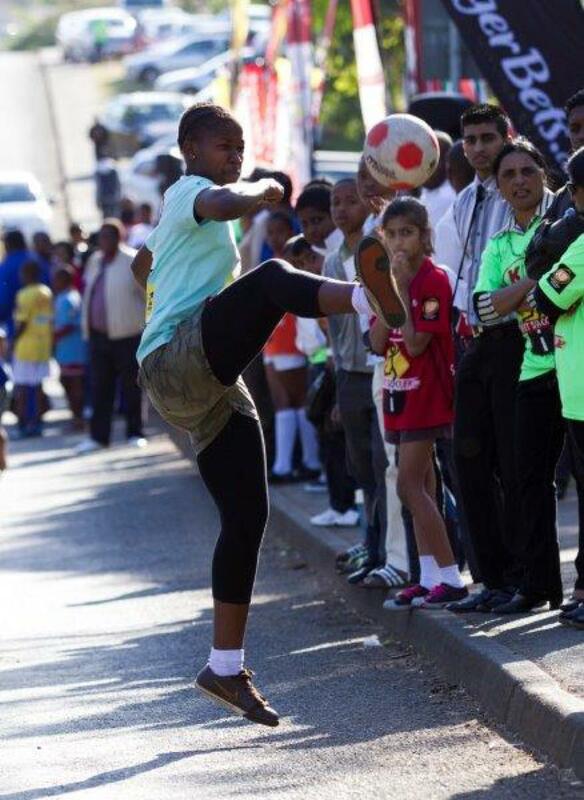 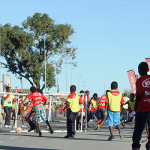 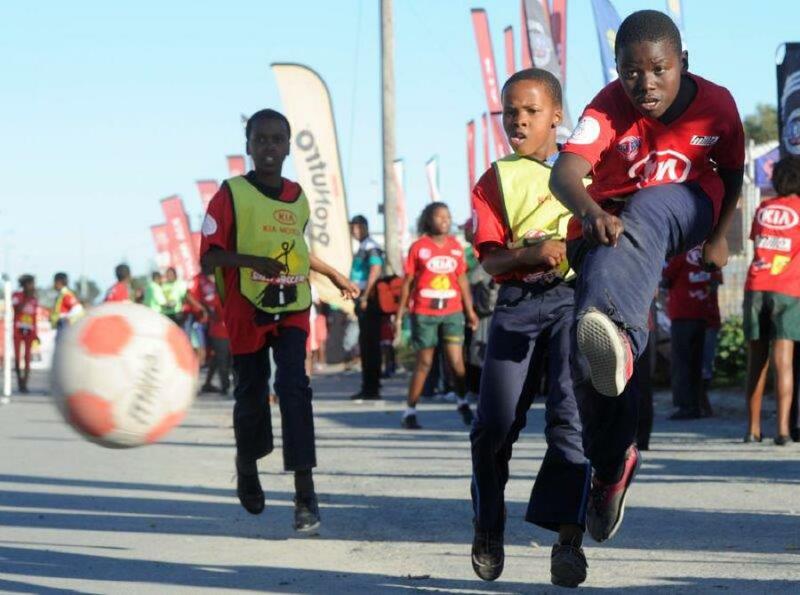 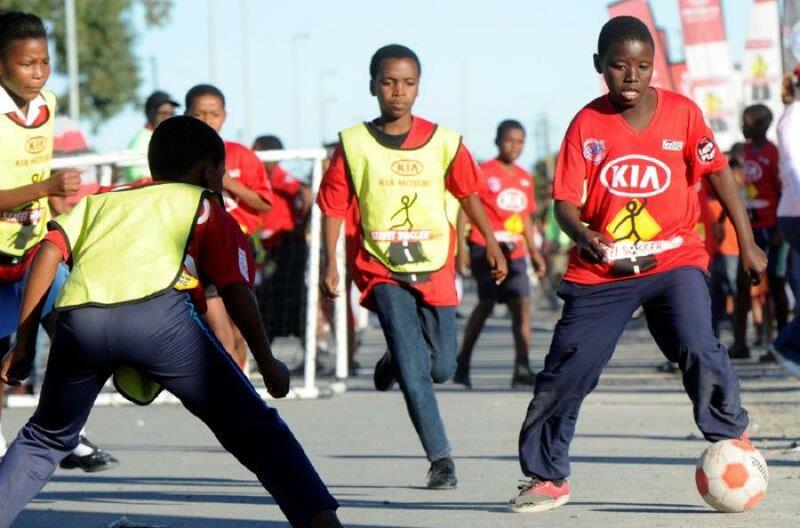 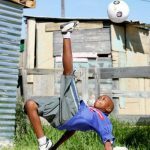 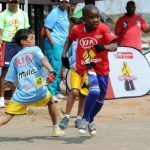 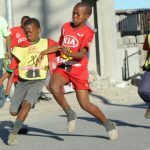 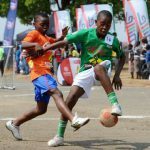 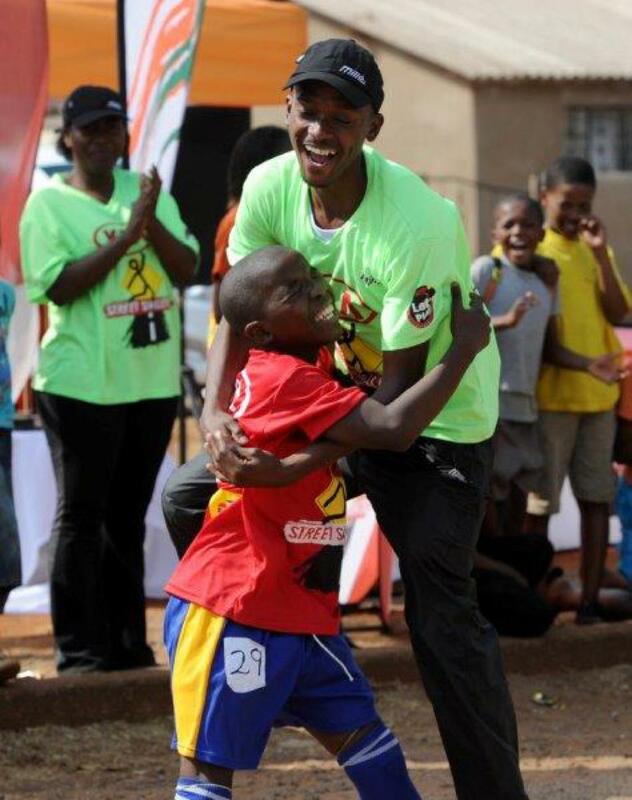 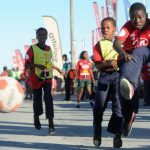 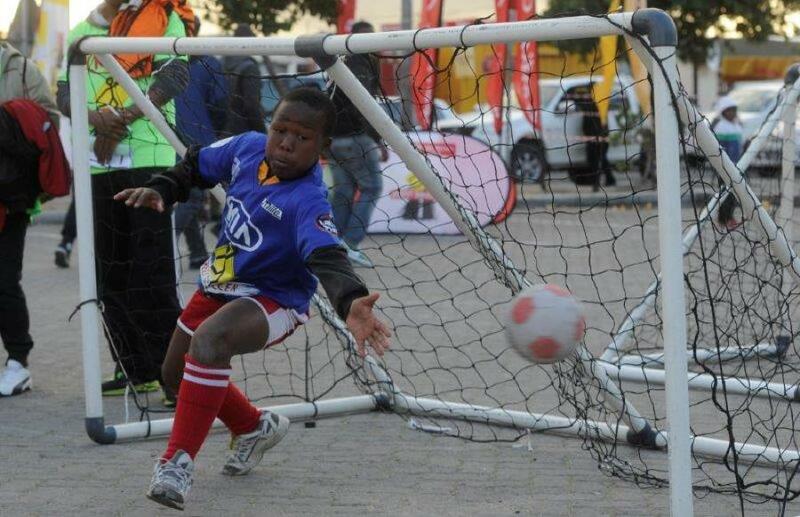 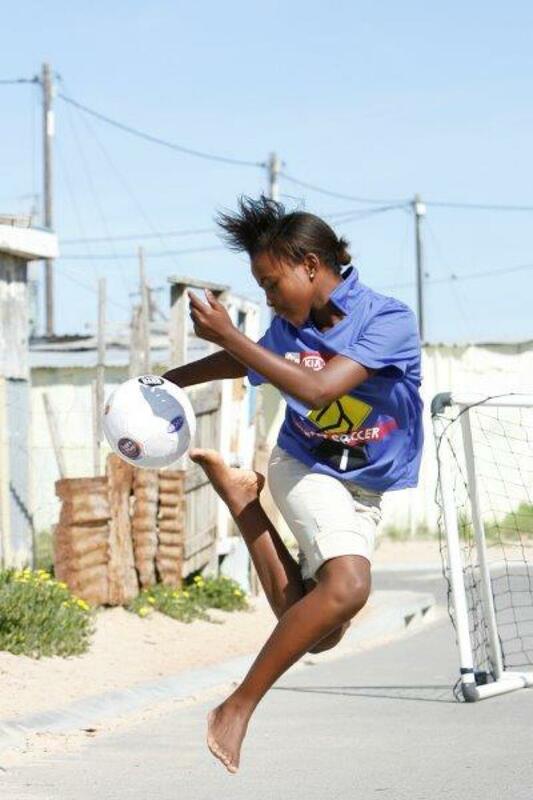 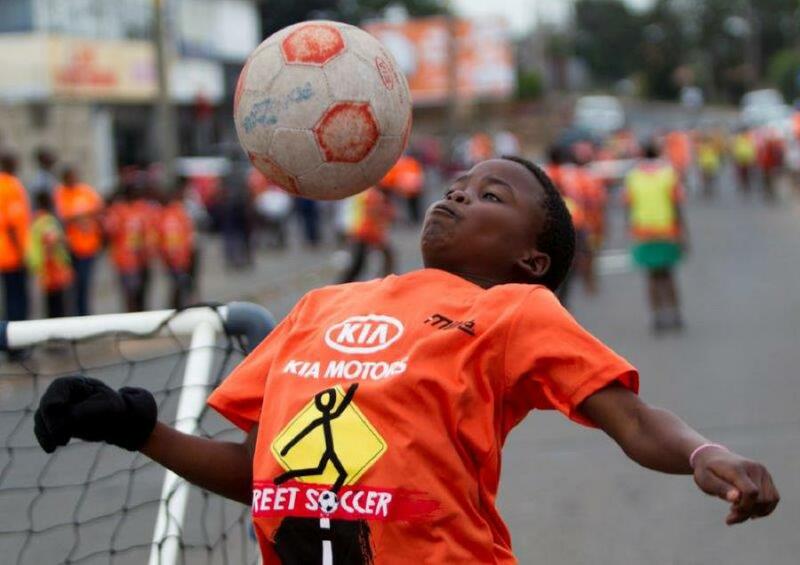 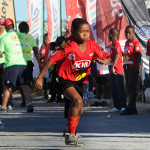 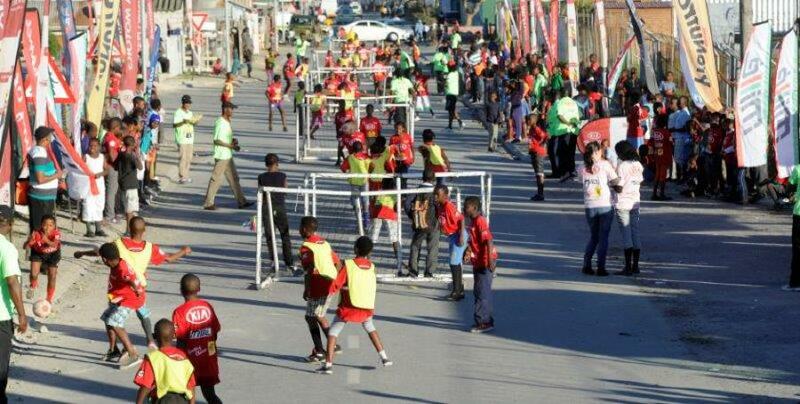 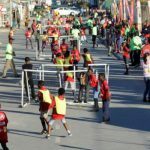 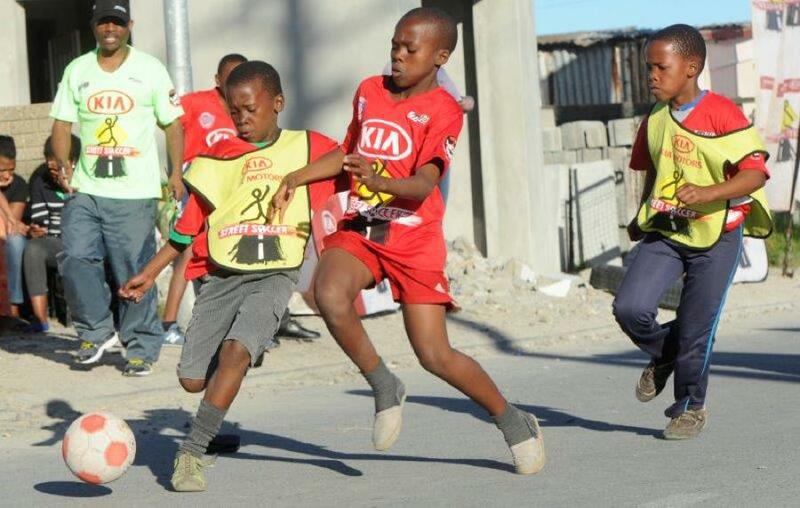 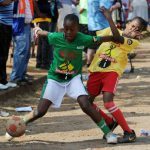 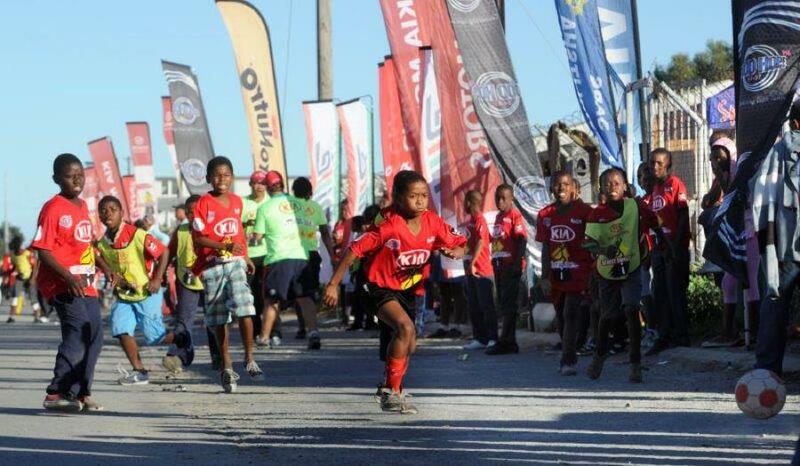 The Street Soccer programme was launched in 2009 prior to the staging of the 2010 FIFA World Cup in South Africa involving over 3000 participants in 20 regions across 3 provinces of South Africa. 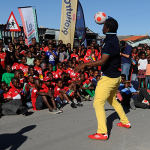 The programme expanded year on year and by 2013 we had doubled it to 40 communities. 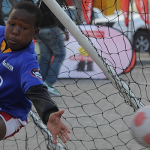 Street Soccer is part of the legacy of 2010 and our long term goal is to find the right partner to expand the programme to reach all 9 provinces of South Africa. 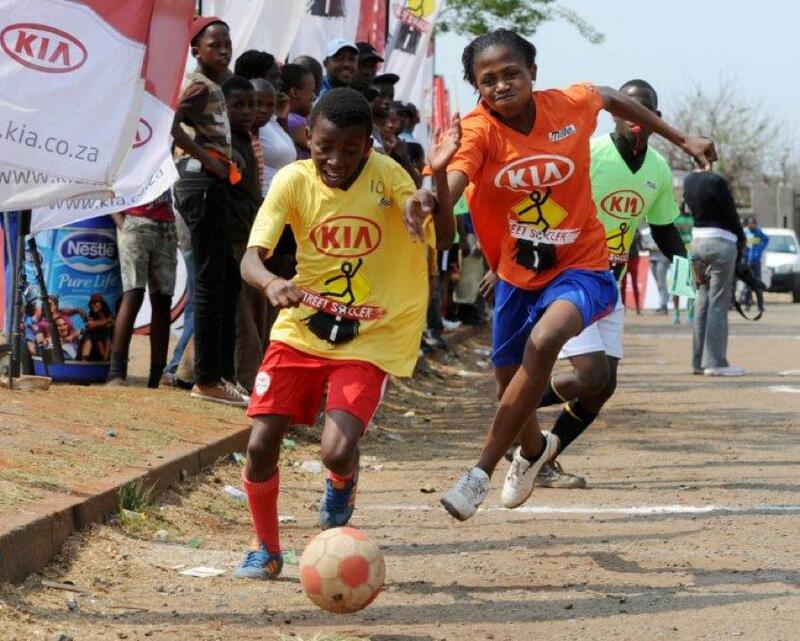 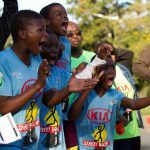 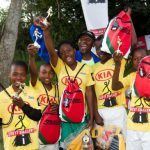 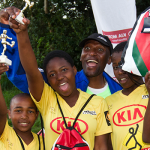 • Use soccer as a vehicle for educating children. 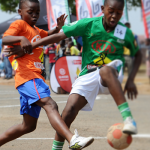 • Promote and market soccer in South Africa through mass participation. 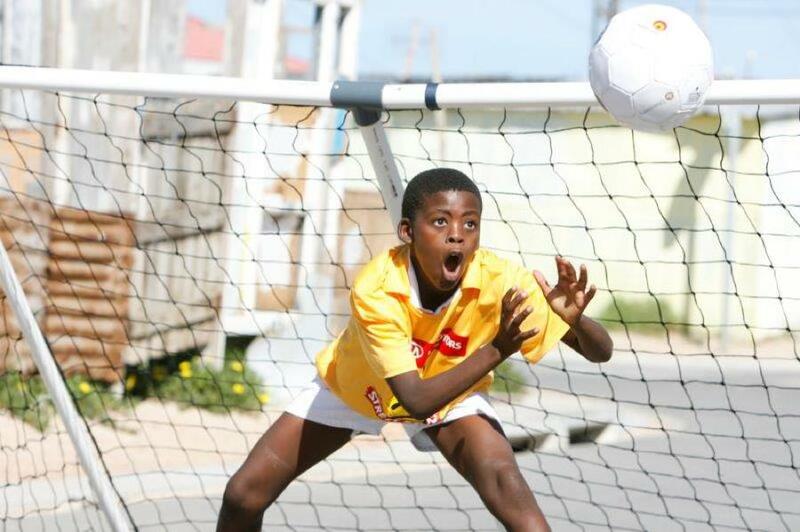 • Create a structured environment to identify raw and natural talent. 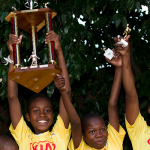 • Show children the value of soccer in building a positive future. 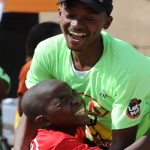 • Create job opportunities and empower the communities. 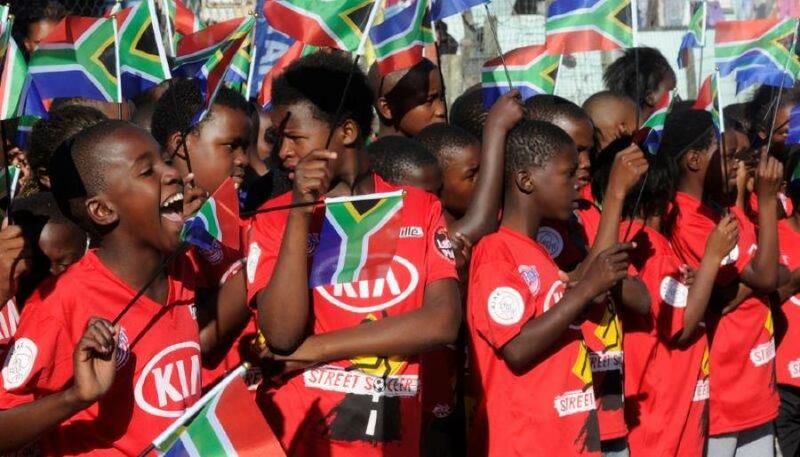 • Build a better understanding between different communities and cultures – social cohesion. 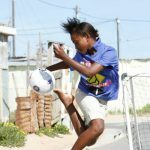 • Increase the number of females involved in soccer. 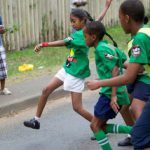 • Offer South African children a healthy and positive alternative to a sedentary lifestyle. 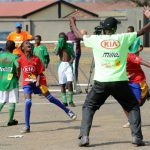 • Sporting Chance offers sponsors the opportunity to participate in a programme which holds maximum value for all parties.